We offer sensors for detecting light from the ultra-violet to the infrared. 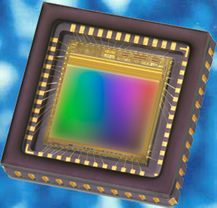 These products vary in complexity from IC chips to full camera modules. Typically these are integrated into products for resale, or for in-house instrumentation. Our CMOS offering includes standard, semi-custom and custom arrays. Whether you need a standard CMOS device, semi or full-custom CMOS image sensors or imager-enabled system-on-chip products, we can work with you to provide a solution which meets your products goals. This begins with the quality and performance of the analogue front-end sensor and continues with our CMOS imaging toolbox. This toolbox consists of ‘tried and tested’, easy to implement ‘block-based’ IP components. These imaging building blocks extend integration as deep into the total system as required. New “deep well’ technology uses a higher bulk resistivity, creating a well structure suited to improved absorption of longer wavelengths, allowing for better MTF and CVF. Typical Applications include: Industrial/Commercial security, Automotive, Industrial machine vision, barcode reading, high speed scanning, UV, visible, IR wavelength image capture, Medical, Biometric, Professional and pro-consumer cameras (DSLR, broadcast, cine), Display/print color measurement devices. The Multi ROI feature allows you to have several active windows within a scene to output multiple areas of interest. Other solutions require you to have multiple sensors. This feature is like having 4 separate sensors under the same lens. 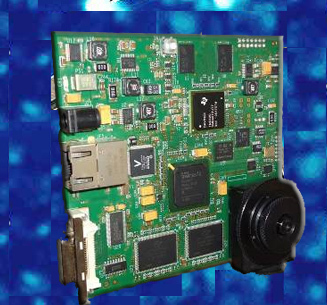 CMOS camera development kits are available to reduce the time to market of your imaging project. Hill Technical Sales is the mid-western U.S. representative for e2v professional imaging, industrial CMOS devices. 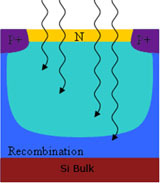 These CMOS devices provide a method of converting an optical image to an electronic format. Pixels elements with the best SNR. Dual shuttering modes: Electronic rolling shutter lower temporal noise and Global shutter for capturing fast moving objects. Multi ROI: for example 4 x windows to output multiple areas within a scene like having 4 separate sensors under the same lens. Better image quality at high temp at 70°C.